Many graphics designers use stock imagery to help them create fantastic designs easily and quickly. Stock images are all over the Internet – print ads, websites, and blogs. In fact, the last image you saw might be stock. However, if you are a designer, you do not want to settle for ordinary images to make your project standout. Fortunately, a new stock website that features atypical images is available. Photocase photography is the solution to a graphic designer’s creative dilemma. The stock site offers strongly curated images filled with creativity and inspiration. Its photographers do not mass produce their works of art, which means you will not see them in other stock websites. If you are looking for modern, unique and aesthetic images, this is the best option for you. Say goodbye to mistaken licenses with one-of-a-kind stock images. Exactly, what is a stock image? If you are thinking about an investment in Wall Street, you are wrong. But, it does involve money when creators are paid for their work. A stock image refers to photographed or professionally designed image, which is sold or licensed to the consumer. It is often used by graphic designers to provide high quality images without citing the sources. The stock images in Photocase are hand-picked to provide a modern feel. Photocase has thousands of images that you can browse on its library. You will surely find one that will suit your budget. The website sells you images that you can use legally, without restrictions, on your creative projects. You can buy these exclusive stock images using Photocase credits. You can even get discounts by using the active Photocase coupon code 2015 from Stock Photo Secrets. You can get this Photocase coupon code from an affiliated website. What are Photocase Download Credits? 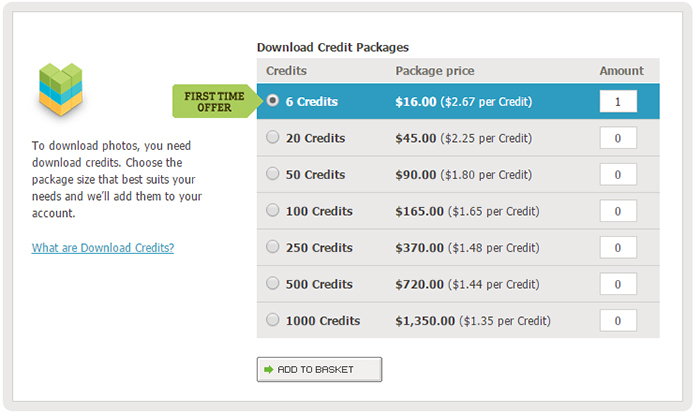 Download credits are similar to prepaid accounts. They are the website’s currency and are the preferred method of buying images from the website. Photocase accepts credits or cash from customers who want to buy exceptional images. If you are buying more than one photo, credits are the perfect option. They can either be earned or purchased from the Shop. How can you earn credits? Upload a photo and if it is approved, you earn 6 credits instantly. Do you want to earn free credits? If you are not yet registered to the website, get Photocase free credits from affiliated websites such as stockphotosecrets.com. You can use these credits to purchase your favorite images from the library and save them to your private or public lightboxes. Do you want your friends to see the collection you bought with your credits? No problem. Just share your lightbox. You can also see their collection by asking for invites. © 2019 The Rev Media Project. All rights reserved.